Cooking at home is a necessary daily task that sometimes requires help in the form of a kitchen electrical somewhere along the line. These products have been designed to make life in the kitchen easier, saving you valuable time and in some cases money. 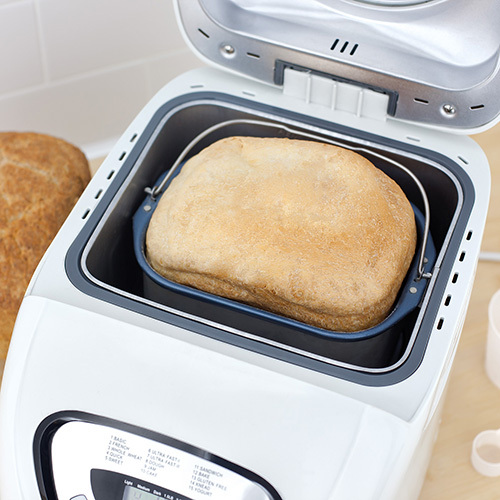 Bread Maker Bread makers allow you to make lovely fresh bread in the comfort of your own home in just a few hours. Bread makers can vary in functionality and the different breads that can be made plus extras that can be added like fruit, nuts and seeds. The bread maker will have a set of programs for different loaves and crusts required for your bake and a timer to let you know the remaining time. Bread makers have revolutionised the home baker and allows amateurs to control what goes into their bread and make their own recipes. Egg Cooker An electric egg cooker allows you to cook several eggs at a time. The energy efficient cooker will steam the eggs based upon the amount of water you add in and will automatically switch off when the time expires. The clear top of the steamer allows you to view the cooking as it progresses. This is a simple and mess free way of cooking eggs, especially when cooking in bulk for large amounts. This steamer can also be adapted easily for steaming vegetables in the same way. Fry / Wok / Griddle Kitchen electricals designed for cooking include griddles, woks and frying skillets. These items can control the temperature of the cooking accurately and be an extension of your kitchen hob. They can also be used outdoors for garden entertaining and parties for a great outdoor cooking experience. Griddles can be used for cooking a variety of foods, the obvious being steaks and meats, but fish, sausages and grilled sandwiches can also be great to cook on a griddle. Flat grill plates can cook a variety of foods including sausages and burgers, kebabs and fish, even a full English breakfast! Fryer Deep fat fryers are the most commonly used fryers. The fryer will have a basket in which you place items like chips, potatoes, onion rings or other battered items. The basket is then lowered into the hot fat. The amount of time that the particular food needs to fry for can be set according to your cooking guidelines. Temperature and food types can be adjusted on the deep fat fryer. Occasionally the oil in the deep fat fryer will need to be changed but this can be easily done. For a healthier option the air frying system is sometimes preferred using only one spoonful of cooking oil against a whole vat of oil. The air frying system cooks by hot air and heats the oil to a cooking temperature, turning the food whilst the cooking takes place. Other foods like chicken, salmon and stir-frys can also be cooked using this method on a different layer in the air fryer which doesn't get stirred. Induction Hob Portable induction hobs are a great addition to your kitchen if you already have another hob type and need extra hob space or you want to take your cooking outside to accompany a barbecue for frying onions and mushrooms and some tasty extras. Portable induction hobs can be as small as one ring with digital display and button functions or two different sized rings with buttons and a display. 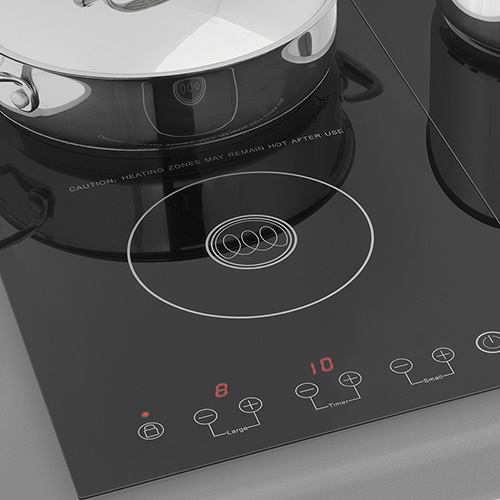 Induction hobs are easy to clean as they have a flat glass surface and don’t heat up during the cooking process. They heat up quickly and the temperatures can be controlled precisely and easily. Microwave Traditionally microwaves have been used for quickly zapping ready meals and defrosting food that you forgot to get out the freezer in the morning. Nowadays though there are so many more functions that a microwave can perform. Grilling, browning and reheating are just a few of the built in functions available in addition to being able to select food types and weights to adjust the cooking time. With so many cooking methods now available on the standard household microwave, it is easy to cook a complete meal from start to finish with ease and saving time. Rice Cooker An electric rice cooker is designed to cook rice and keep it warm until you are ready to use it. The rice cooker will supply suggested rice and water measurements for mixing the right amount of rice for the correct portions. The inside bowl of the rice cooker sits on top of a heated element, similar to the slow cooker - this will control the cooking of the rice. Once cooked, the rice can be kept warm with the warming function for up to 6 hours. After use the inner non-stick bowl comes out for easy cleaning. This is a great mess free way of cooking rice perfectly at home. 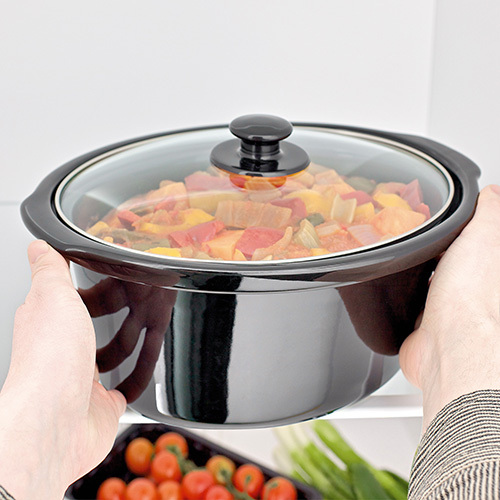 Slow Cooker Slow cookers can be used for making a wide variety of meals due to its flexible cooking times and recipes. More commonly casseroles and stews are cooked in the slow cooker, allowing meats and vegetables to become very tender, cooking on a low heat for 6-8 hours. Rice dishes, lentils and dahls can all be cooked using this method at a higher temperature for 3-4 hours. Pulled pork, lamb and chickens can be left to tenderise using the slow cook method so the meat can stay moist and be shredded later. The flexibility of the slow cooker can accommodate a huge variety of meals of which most can be adapted for cooking in this way. Soup Maker Soup makers are designed to make soup from start to finish for mess free tasty soup. By adding raw, peeled and chopped ingredients to the blender jug with the required liquid, the blender will create either a chunky or smooth soup. This is selected on the soup maker at the beginning of the operation. During the blending the soup will start to cook, for the programmed amount of time and cook a lovely tasty soup. Soup makers have different capacities and functions but most of them make the soup in the same way. Steamer A food steamer is a multi-layered cooker designed to cook different foods on each layer. Steamers generally have 3 layers which are clear for viewing food whilst cooking. Foods like potatoes, broccoli, fish and chicken are ideal for steaming as they are great for keeping and needing to retain moisture. Steamers are a healthier way to cook as it helps to retain the original vitamins and nutrients in the foods making it better for our diets. Washing the steamer's sections after cooking is easily done as each part can be washed in a dishwasher. The cooking times and functions will be determined by the make and model of the steamer.